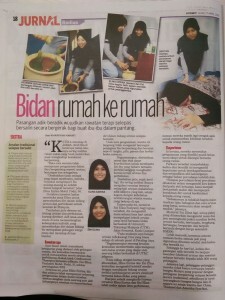 KakakAdek Confinement Therapist was founded by two sisters, Elina Ezrina Mohd Podzi and Eni Elina Fazliyanti Mohd Podzi. KakakAdek Confinement Therapist was previously under Eni Elina Enterprise and later the company was registered under KakakAdek Group Sdn Bhd. We started the business on 9 September 2013. KakakAdek Confinement Therapist is dedicated in bringing the best of postpartum care to every new mother in achieving a comfort and stress-free confinement. We specialize in postpartum slimming and Malay traditional postnatal massage. What sets us apart from other confinement service is we work in a timely and efficient manner that guarantees complete customer satisfaction. Our care services are designed to help mothers to deal with the discomforts of afterbirth and speed up recovery and strengthen overall physical and mental health. Our team comprises of certified professionals that are trained and well-equipped with skills to serve you with the best care. Our first priority is you as a satisfied customer and we are committed to providing our customers with the best possible care services. In addition, KakakAdek Confinement Therapist provides confinement food services at your place to ease you the trouble of cooking. We also provide a la carte service to take good care of your little ones. You can trust on our top quality care curated for all your needs. 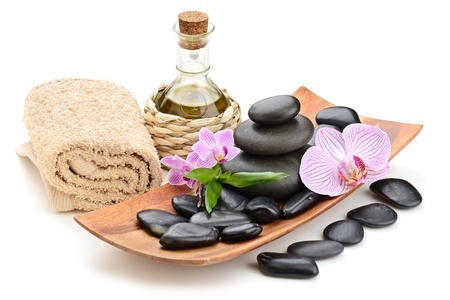 We offer various types of care services provided in confinement package, namely Herbal Bath, Traditional Massages, Hot Stone Therapy, Postpartum Belly Binding, Body Scrub and Flower Bath and Wet and Dry Traditional Spa. Contact us now at +(6) 017-675 9218 or +(6) 010-357 1080 to book for confinement therapists and we will take care of the rest. KakakAdek Confinement Therapist was founded by two sisters, Elina Ezrina Mohd Podzi (Elder Sister) and Eni Elina Fazliyanti Mohd Podzi (Younger Sister). Why KakakAdek? The name KakakAdek was formed by chance. When we were attending massage therapy courses, the students there called us kakak and adik instead of our real names. We felt excited people addressing us in such way. So in early 2015, we came up with the name KakakAdek Confinement Therapist for our brand. KakakAdek Confinement Therapist was registered underatas nama ENI ELINA ENTERPRISE on 9 September 2013.